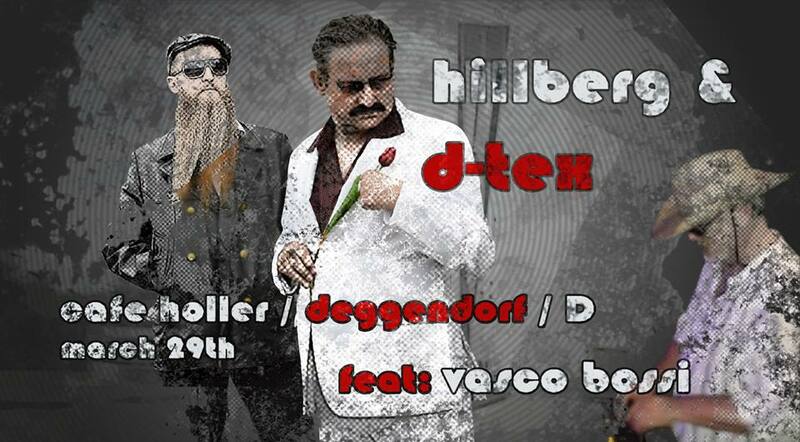 first of all let´s announce our next gig at cafe holler in deggendorf/germany bavaria on friday, march 29th! when giorgio and donna were revived after decades in a glacier – cafe holler was the first venue believing us we were the real giorgio and the real donna. not the „other giorgio“ who nicked all my songs. so a gig at cafe holler is always very special for us. and this time we will be introducing our new man on the decks – vasco bossi! who used to work as a poolboy in our villa in ticino, switzerland, before we found out he… was musician like us, eh!? so see you on 29th of march at cafe holler, deggendorf! in belgium in the charts! and hey! 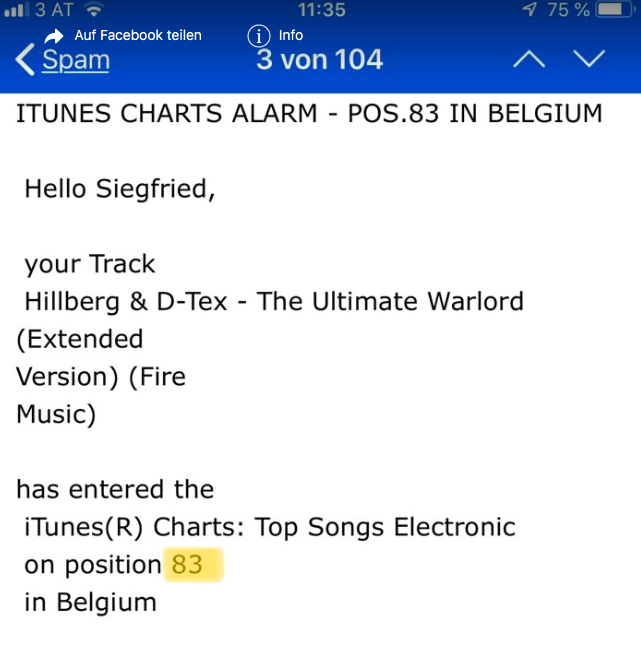 we just received the news our song „ultimate warlord“ has entered the belgian iTunes electronic music charts! fame, we come! Dieser Eintrag wurde veröffentlicht in Allgemein am 19. März 2019 von hillberg. Merry Christmas and a Hapy Nu Disco 2019! Un Buon Natale and a Happy New Disco 2019 from Hillberg and D-Tex / Giorgio e Donna! Baci! Dieser Eintrag wurde veröffentlicht in Allgemein am 24. Dezember 2018 von hillberg. 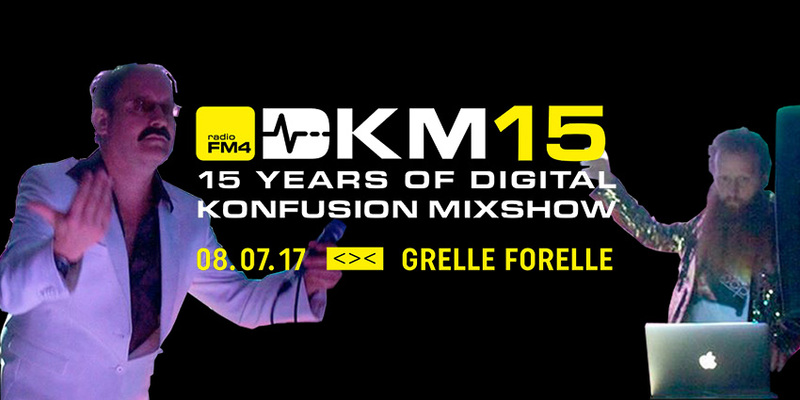 Hillberg and D-Tex on Digital Konfusion Mixshow Show FM4 // Jingle: From Saturday, Dec. 15th to Sunday, 16th from 12 p.m. to 3 a.m. Giorgio and Donna will perform wondaful DJ Sezz – tune in! Dieser Eintrag wurde veröffentlicht in Allgemein am 10. Dezember 2018 von hillberg. another great gig at munich´s TAM TAM parties: this time at studiobuehne TWM next to the münchner kammerspiele. unfortunately again my donna d´estate could not come, but with vasco bossi as my dj we again had excellent support! 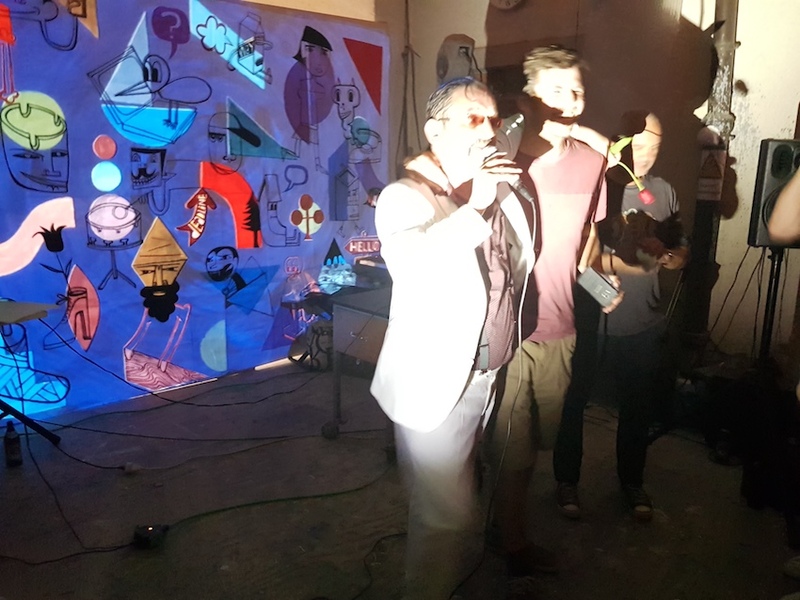 thank you very much to koenig oskar, diskopeter, peet doice to perform with us, and to peaceartist for wonderful visuals: although i did not understand what you tried to explain to me all two days long, mi godevo tanto con i tuoi visuals! Dieser Eintrag wurde veröffentlicht in Allgemein am 8. November 2018 von hillberg. 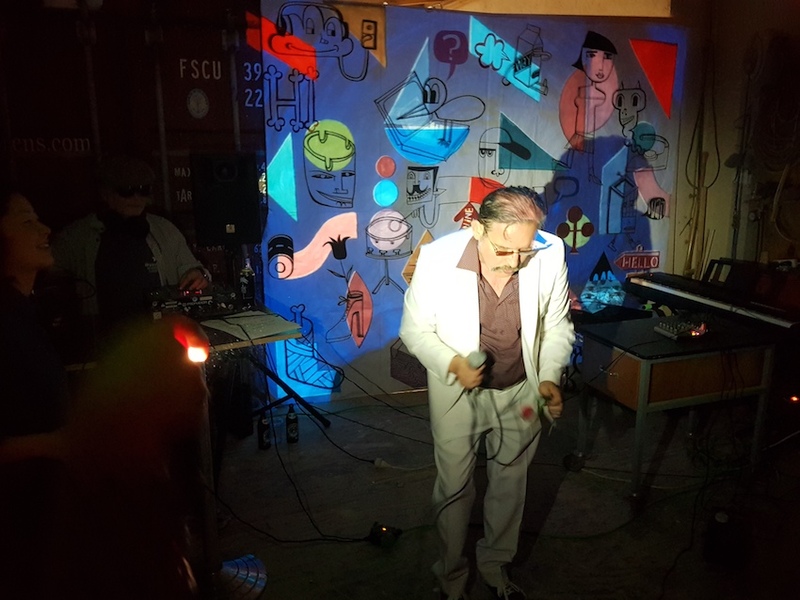 a wonderful release party for our new hillberg and d-tex release „(this is the) munich disco“ at TAM TAM sommerfest, july 12th 2018 in munich: support on the decks this time came from our new hillberg and d-tex crew-member vasco bossi, who played a wonderful dj-set after Giorgio had to leave stage for important visit in beauty salon. 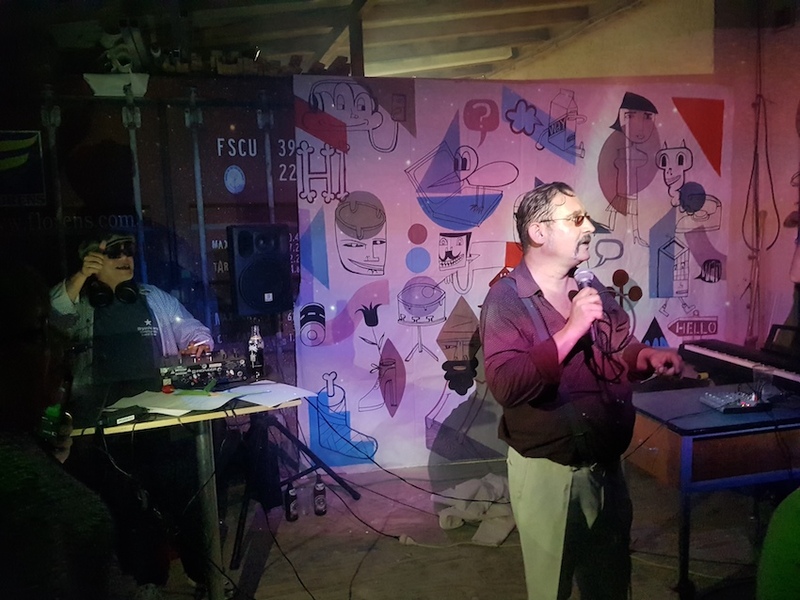 thanks to the marvelous crowd, all other artists frank sauer and neoangin, saluti! Dieser Eintrag wurde veröffentlicht in Allgemein am 8. September 2018 von hillberg. Years, yes decades, he was gone: But finally our „Giorgio Merano“ is back in his adored Munich. Yes, our „Giorgio“ is nothing without the Bavarian capital, but neither Munich was really complete without Giorgio over the last decades. Thanks fort he guitar to: Reinhard Reiman. oops… giorgio and donna so terribly lazy: and did no update since #thatadriano track release and video… but lotta happened! 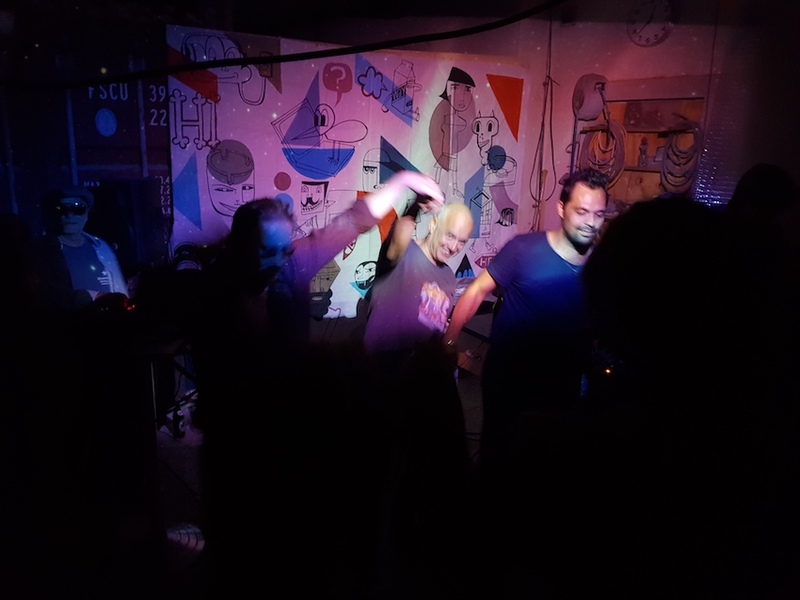 first of all some gigs such as at digital confusion mix show in vienna July last year, or this year in Deggendorf at cafe holler or only last friday, august 31st 2018 at oben ohne vienna! also we did two radio mix shows for radio fm4 again, thanks mille graze for inviting us! and last not least we have new release and video „Munich disco“, but you see and watch in the next article! Dieser Eintrag wurde veröffentlicht in Allgemein am 7. September 2018 von hillberg.